News from LMCU: Take A Break From Monthly Loan Payments! Take A Break From Monthly Loan Payments! 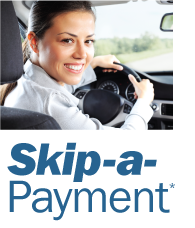 With LMCU’s Skip-a-Payment program, you can take a vacation from your monthly loan payment, making cash available for that special trip you’ve been dreaming about. You can skip a regular monthly loan payment for just a $25 fee. Easy! * Requirements: Mortgages, Home Equity Loans, Credit Cards, and Lines of Credit cannot be skipped. All loans must be current to qualify. Loans may not be skipped two consecutive months. Lake Michigan Credit Union reserves the right to determine your eligibility for this promotion.